Last November we made the decision to make an update to our lifestyle. You see, The Chad and I have always been outdoors people; camping, hiking, the open road and the wind at our feet describes our nonconformist hearts. Our life prior to children was filled with impulsive joy rides and haphazard escapades. The main aspect of our willy nilly adventures came in owning a Jeep. If you have never owned a Jeep you miss the mystique of breathing in the fresh air on this off-road convertible. As I mentioned we updated our parental lifestyle; we went out and bought a four door Jeep Wrangler, because life is better in a Jeep. Sans kids, The Chad and I went everywhere in our Jeep. One most memorable trip together was when we lived in New Mexico, we made an impromptu decision to load up camping gear and head north. Exploring the open wilderness we set out for the Jemez Mountains. Natural hot springs, preserves littered with Ponderosa pines, volcanoes and elegant rock formations color the landscape of this region outside of Albuquerque and Santa Fe. We set out to the local grocery story and loaded up on supplies and off we went. As we wound around the abandoned railroad track areas and deep into a wonderful clearing outside of the Gilman Tunnels. A breathtaking pasture of green, a flowing brook and cows. I can digress on the cows, but lets face it, this is about life in a Jeep. Only one of the many adventures The Chad and I tripped along while together with our Jeep. So when we purchased our first family Jeep we took our first family camping trip this past June. 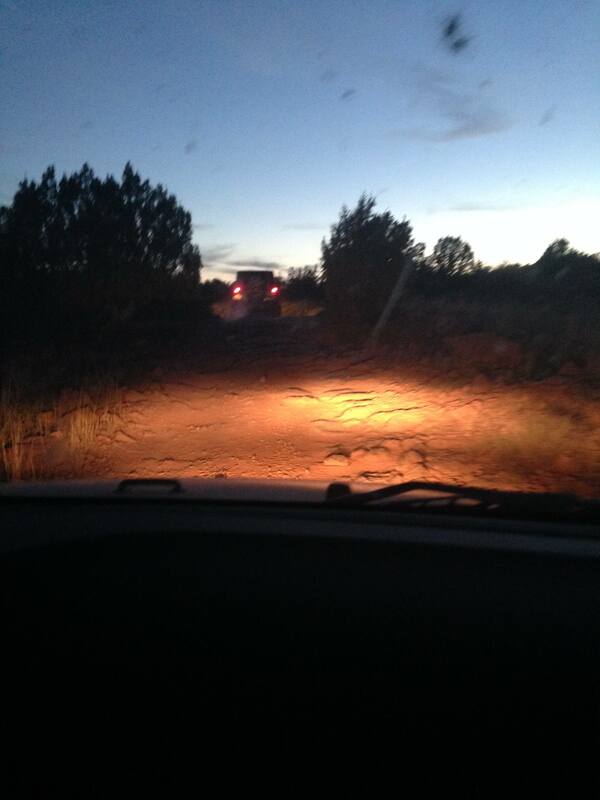 We came across a four wheel drive-Jeep club on Facebook, joined and set out on our first adventure. 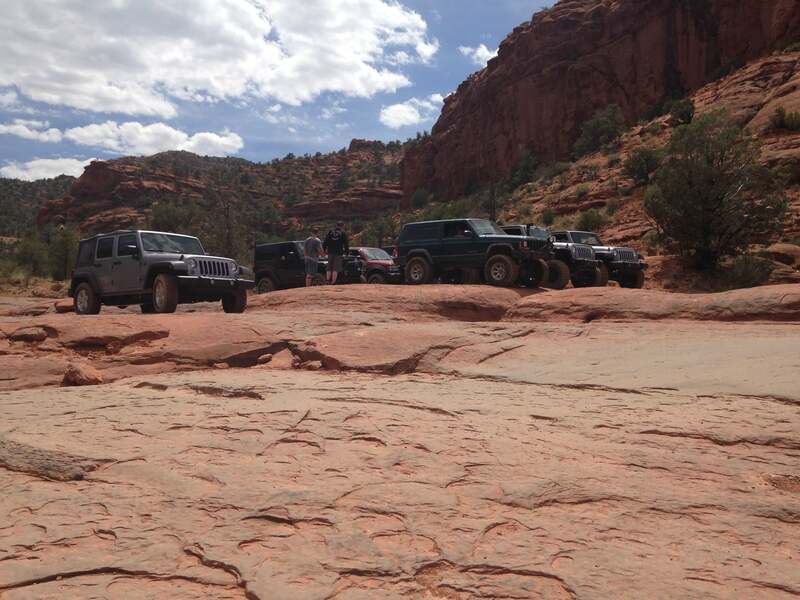 What better locale to take a Jeep Adventure: Sedona! This was no pink Jeep expedition either. 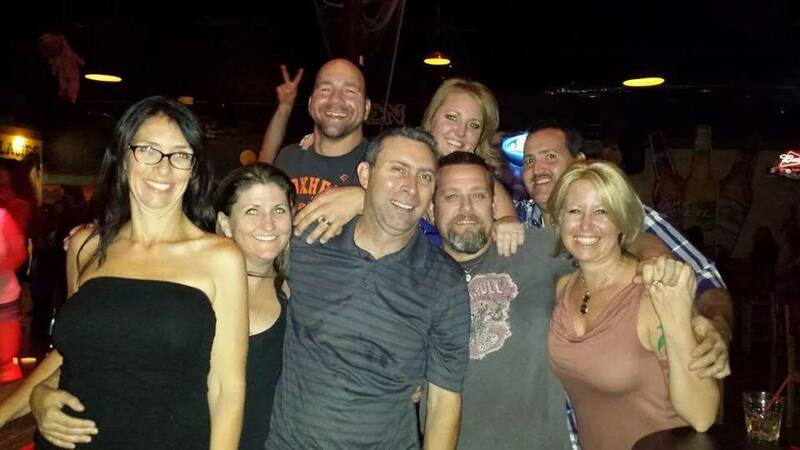 We were blessed to have met an excellent group of people that had previously started out as sheer strangers. 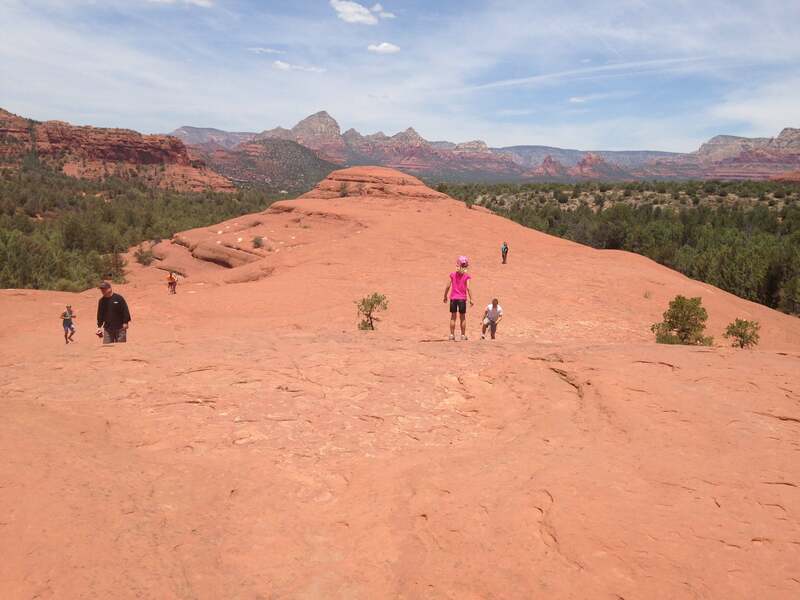 An entire day of roaming around the red rock wilderness of Sedona. All of our families and our children forging friendships, building relationships, life of a Jeep owner. Views were breathtaking. Submarine rock. Chicken rock. Covered in red dust, bull nosed rock edges, smooth from years of weather and age and our Jeeps crawled over these high desert spectacles. A full day was spent out and about and we returned for a mid-afternoon break before heading back out for a night run with some other new found friends. Our evening adventure was not as pretty as the mountainous red rocks that decorate the surrounding area of Sedona but nonetheless beautiful. Creeping along in the evening hours our group was a literal parade of Jeeps, a band of brothers and sisters sharing the same passion and love for life, the great outdoors, and doing it all in a Jeep. We all watched out for one another. Validating no one was losing fluids, making sure everyone was whole. Being a community. That weekend was a day after I lost my job at the bank. A weekend I truly was dreading because of the unfortunate circumstances, but it turned into a life changing weekend for The Chad, I and our family. We met some amazing people, these same folks today we call friends and try to get together with as often as we can despite the miles in between us all. If you have ever heard that it’s a “Jeep thing” or “Jeep life” it is an unspoken way of life. Hard to believe that experiencing life could be different, but there is something to be said about having the top off on your Jeep, experiencing the sights and smells that accompany a life of unbridled adventure where roads are optional. Above all, the relationships and friends you make along the way who share the same values and love for life as you do, those friendships are priceless and cherished. Let’s face it, life is just better in a Jeep. My husband is jealous of your Jeep and adventures. He’s currently restoring a Jeep Willys ’46 version. He asked for parts for Christmas lol. He and boy #1 are wanting a Wrangler for treking and camping. I am sorry to tell you that I have never been in Jeep and it sounds like quite an experience. I can tell that you really enjoy it and enjoy introducing your kids to that experience too. I love Jeeps. I appreciate the series of articles you offer. Jeeps are the way to go. Climb a mountain, follow rugged trail, or just go out to eat at a fancy place! Jeeps fit in everywhere. I do love a jeep and love what it can do for you, I love that you don’t have to worry about taking it on the back roads or heavy mud or anything, Its smooth riding , well’ not smooth but you know what I mean. FUN! !